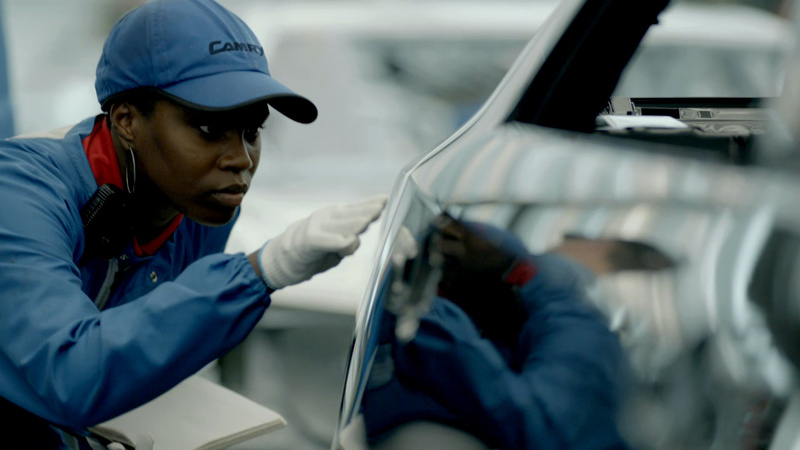 Every Camry has a Story, Explain Saatchi’s 2 Inspirational Super Bowl spots for Toyota. 'Kentucky' features the voice of Sean Cooley, who actually works for the Toyota plant in Georgetown, Kentucky. He drives his Camry with 411,000 miles on it an hour to and from work each way every day! "'Kentucky' was originally created and concepted as a means to message the Shazam car giveaway tied to our 'Connections' Super Bowl commercial," explains Saatchi's Matthew Curry, Associate Creative Director/Writer. "But as the words and picture melded together, it was clear we had something really special. Something that could stand alone as a set-up for our 'Connections' spot. The Camry story starts in 'Kentucky,' then becomes part of people's moments and memories as you see in 'Connections.'"